If only for its huge rearing lion, engraved in stone over the tower keep, it merits a visit. It is the heraldic emblem of the Silva family, the counts of Cifuentes. It was built by this family in the 15thcentury. We can go around its big courtyard, and its almost square lower level, which indicates by its size and the time it was built that it was used more as a residence than as a defensive fortress. Two interesting cubes are signs of the barrier and the moat that protected the entry gate to the enclosure, and of which there are no remains. Three towers, two circular, the other square, and the tower comprise the rest of the premises. 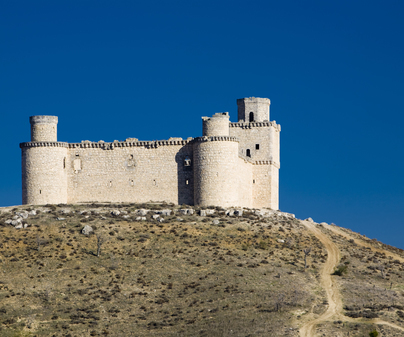 Juan de Silva, the first count of Cifuentes, began the fortress construction in the 14thcentury, and his grandson, of the same name, would later finish on his behalf. 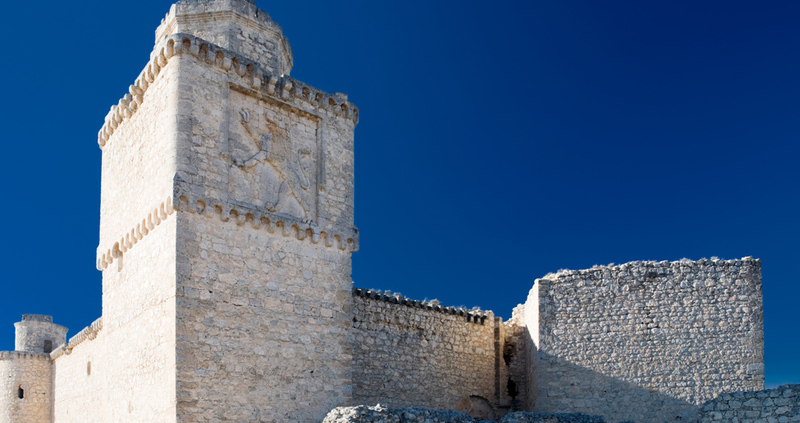 It was provided with artillery and garrison in the 16thcentury. Although it is a private property, the access is free. After entering the village of Barcience and passing by its cemetery, go along a dirt path that crosses the pine forest to arrive to the castle. Juan de Silva, who promoted its construction, received from the king, along with the title of count of Cifuentes, the title of Lord of Barcience.